Kalyanji Anandji again, old style. Predictably, 'Bluff Master's [review] main attraction is the 'Title Music', a fun, jaunty, rockin' dance number with Latin flourishes. A couple of the songs deserve mention as well though... 'Jabse Tujhe Jaan Gayi' is high drama with a galloping beat, castanets and lashing whips; 'Ae Dil Ab Kahin Na Ja' has a gorgeous melody and an exotic, atmospheric feel; and the sitar based 'Bedardi Daghabaaz' sounds trippy (yes I know, an anachronism), and very pretty. 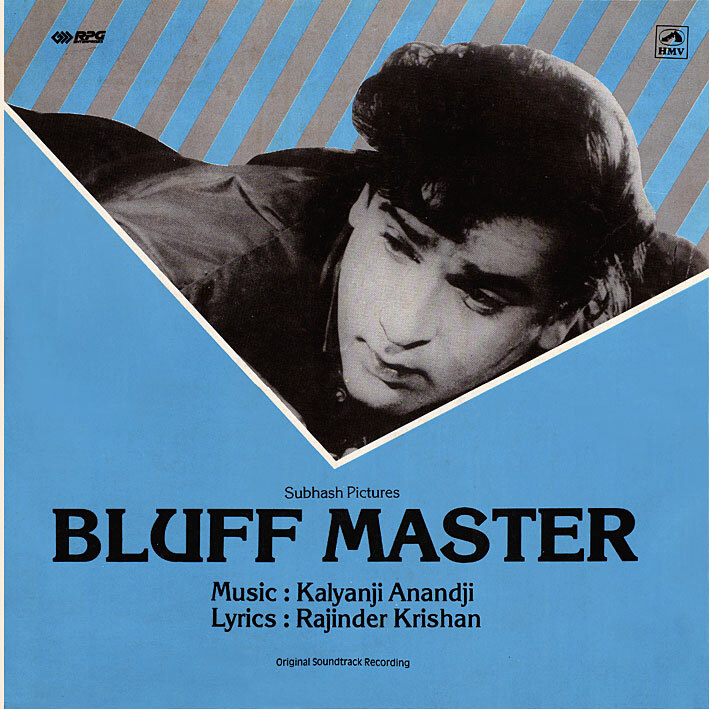 Thanks for the Kalyanji Anandji soundtrack. Nice write-up. All the songs on this album are very good. And the movie itself is Shammi at his best! Great film and wonderful music, thanks PC!!!! Surprising only one Rafi song in Shammi's movie.